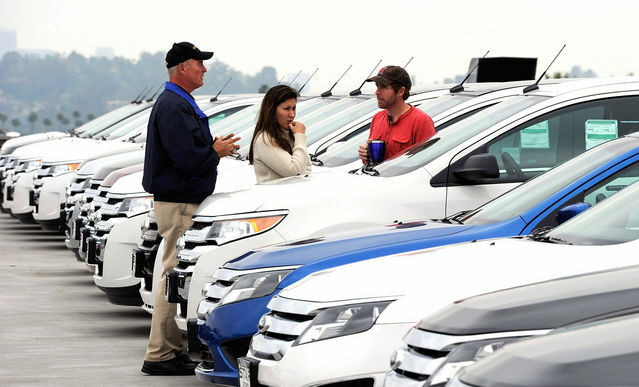 As the prices of new cars continue to skyrocket, many consumers are going for used cars on sale. Although investing in a used car may seem viable and sensible, buyers need to make smart choices and consider some things before they settle on buying. If care isn’t taken before purchasing the used car, hidden damages may become costlier for the unsuspecting buyer. Here is a quick checklist to guide you when buying a used car. Your partner may be yearning for a sharp looking sports car, but your other family needs might require you to go for a 2016 Honda CR-V. The best thing to do is evaluate your needs critically and determine which car model will serve you best. Make sure that the used car you are purchasing will best fit your lifestyle and needs. Some buyers tend to overlook this important aspect. They will proceed to settle the transaction without involving a mechanic which can be suicidal. It is nice to pay a mechanic to inspect the car rather than buy it and later on deal with a much expensive repair. The purpose of the mechanic is to assist you in discovering any hidden problem and also advise you on the car value. Be it a 2016 Honda CR-V trim EX or EX-L that you are purchasing, make sure that it has been thoroughly inspected and given a clean bill by the mechanic. Be sure to spend some time behind the wheel of the car that you are just about to purchase. The main reason why a test drive is necessary is to give you an idea about how the car responds to various actions. Take the vehicle for a test drive on both local roads and major highways. Use the test drive to determine the condition of the brakes, the engine and other parts. Be keen and take note of any unusual sounds from the brakes or the engine. Any used car has a past story which can’t be ignored. Looking at the Auto motive’s history may reveal evidence of severe internal damage of the car or something unusual about the car which can help you make up your mind. You can perform the leak test while you are on the test drive. Park the car in a clean area of the road and allow it to run for at least 2 minutes then move the car aside and carry out a physical inspection of any leaking substances.